From Otago To Oxford, from a top Auckland law firm to working among schooling sharks in the Arabian Gulf, from running on to the rugby field at Twickenham to surfing in Indonesia, Winston Cowie is the 21st century’s answer to the Good Keen Man. Now, he’s taking on the heavyweights of publishing. Susan Edmunds, New Zealand Herald on Sunday goes fishing with him. 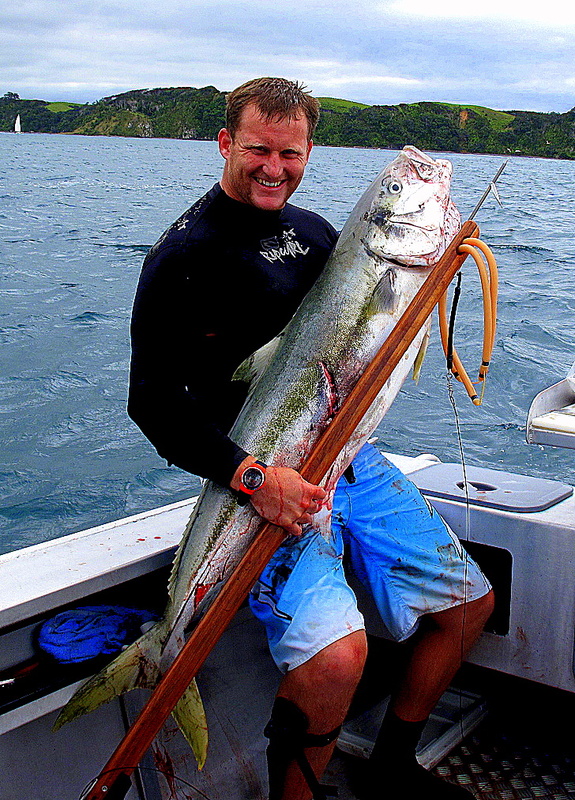 Towing a speared kingfish back to his mate’s boat, Winston Cowie yells for help to drag it on board. He has been struggling with it in the water for 20 minutes, towed around by the thrashing fish as he tries to hold on to his float. Then the spear slips out and he is forced to take matters into his own hands. He grabs it by the tail and manoeuvres the 24kg fish on board. Partner Lucy Jones rolls her eyes when Cowie says he’ll never forget that New Year’s Day fishing trip. “No one else will, either,” she groans. The photo of Cowie with the fish is on the couple’s fridge, and 18-month-old daughter Izzy demands that it’s in her line of sight when she eats breakfast every morning. “She might not know me,” Jones sighs, “but she knows ‘Dad’ and ‘fish’.”……………. For the full article (a two page spread from the New Zealand Herald on Sunday on 20 July 2012), please follow the link. You can get your own copy of A Flame Flickers in the Darkness, a New Zealand historical fiction novel or book based on the New Zealand Wars or Maori Wars or New Zealand Land Wars of the 1860s, from Whitcoulls, independent bookstores an online on PublishMe and Fishpond.